From start to finish, we think of everything so that you don’t have to. Every exhibition stand is important. Every exhibition stand is different. Equally, each company we work with has their own ideas, their own needs. It’s our job to take those into account and apply our wide experience and fresh thinking, and make the process as smooth and straightforward as possible for you. While client requirements may differ, our approach remains the same. Over the years, we’ve developed proven methodologies and a workflow system that has delivered for our clients time and again, and promoted us to become one of the UK’s leading designers and builders of custom modular exhibition stands. Our one-stop exhibiting solution has revolutionised the market, providing a viable alternative to traditional stand-building. Affordable, sustainable, versatile, lightweight, compact and eco-friendly are just some of the words used to describe the MODEX solution. In addition, we have built a solid reputation for quality, service and value for money. We’ve built a team that understands the demands and constraints of exhibiting and thrives on challenging the traditional boundaries of event stand creation. 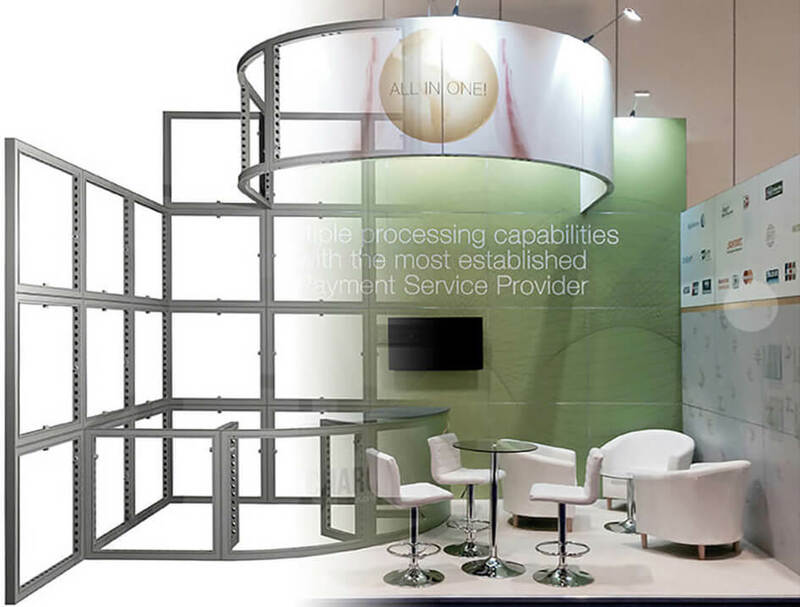 And the straightforward nature of our system enables us to offer a single package cost that encompasses all of your stand needs including structure, graphics, flooring, furniture, lighting, audio-visual equipment, installation and dismantling. All you need from one experienced, reliable source. Today, our exhibition stands are found at shows and events across Europe, creating interesting and inspiring spaces that generate footfall and engage even the most world-weary of exhibition visitors. At MODEX, our collective strengths ensure that we cover every aspect of an event, making sure that your stand stands out from the rest – from the first idea to the final fitting.